Featured on the popular Youtube channel Threadbanger, this renovation was a complete gut job of a 1920's mountain home. 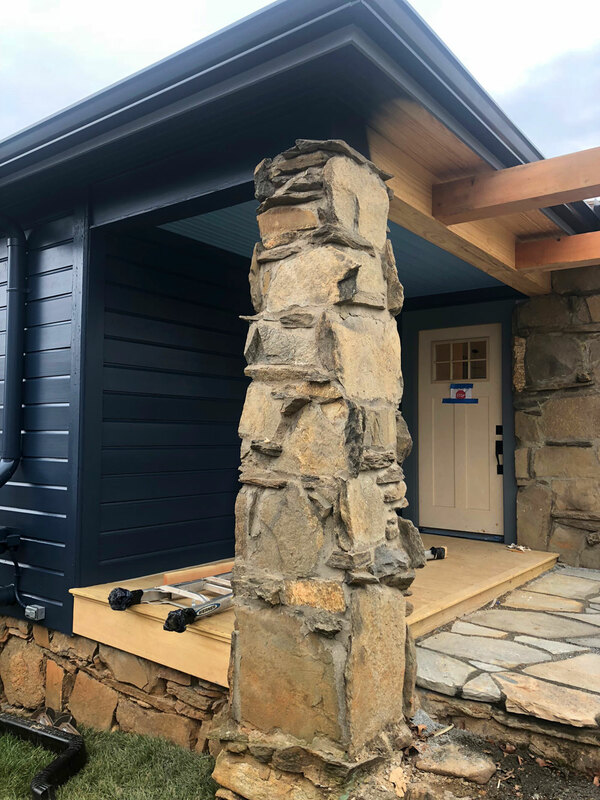 In the battle of Man vs. House, we came out victorious with custom roofing, an added laundry room, & timber frame screen porch while maintaining the original charm of the home. This remodel project was a one of a kind from the start. Rob and Corrine run the popular YouTube channel Threadbanger and they approached us to remodel their house, with one catch…they film the process and make a series about it called Man Vs. House. Of course we accepted and the games began soon after with “Demo Day”. The original house was built in 1927 and soon after we realized it was going to require a complete gut job to accomplish the vision they had. After stripping down the house to the studs we proceeded to vault the living room, kitchen and eventually the master bedroom. This required reframing the entire roof from the inside out. 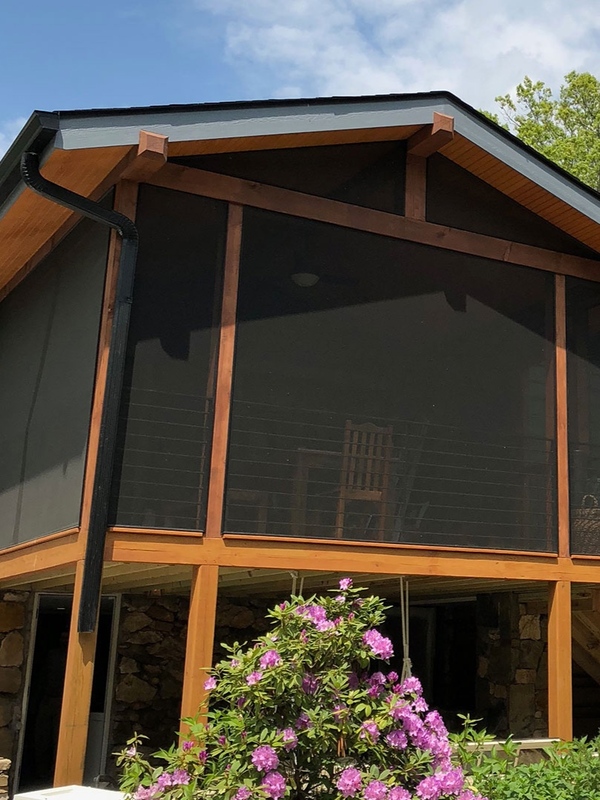 We then proceeded to expand the master bathroom, add a laundry off the master and build a timber frame screen porch in place of the dilapidated existing deck. Once the shell was completed we began our work of piecing together the original siding, soffit and fascia. The exterior of this home features much of the original character and craftsmanship of the original home, with modern updates and refinished surfaces!The interior space design was Corinne’s vision. She wanted simple classic details throughout including: subway tile in the bathroom/kitchen. Black and white hexagon floor tile in the master bathroom, dark stained oak floors, white countertops and grey cabinets. The fireplace became another focal point with custom stone resurfacing that helped tie in the original character of the home with the modern updates that were added.